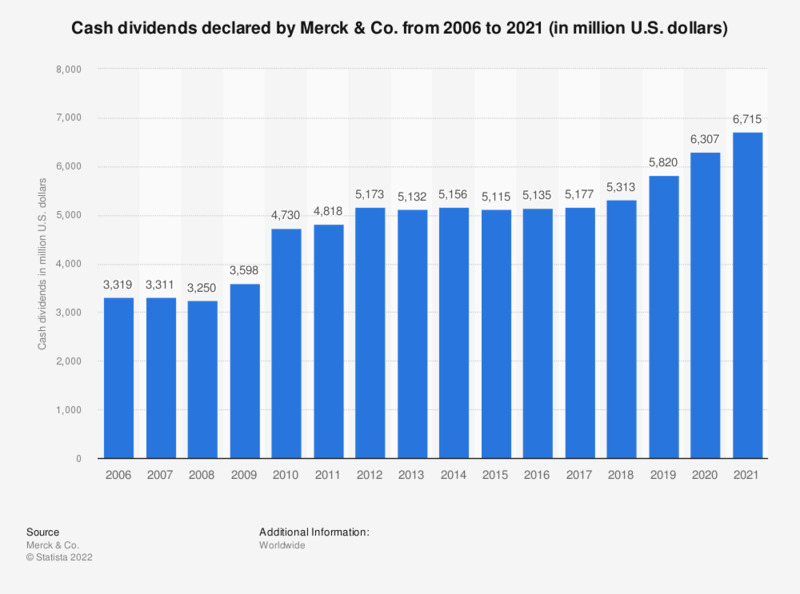 This statistic shows the declared cash dividends of the pharmaceutical company Merck and Co. from 2006 to 2018. Merck & Co. is one of the largest pharmaceutical companies in the world. The company is headquartered in Whitehouse Station, New Jersey. In 2018, declared cash dividends amounted to around 5.3 billion U.S. dollars. Values for 2006-2012 were taken from previous annual financial reports.